In a season being completely dominated by the Toyotas of Joe Gibbs Racing and the Fords of Team Penske in terms of visits to victory lane, there has been little for those who carry the Chevrolet banner to cheer about. Not only has no car sporting the “Bowtie” logo on its grille taken a checkered flag while leading the pack in the Monster Energy NASCAR Cup Series, their sightings within the top-5 have been almost as rare. With eight races in NASCAR’s premier division now in the books, all eleven Chevrolet drivers have managed to score only five top-5 finishes in the Cup Series combined. For the sake of comparison, JGR Toyota driver and current points leader Kyle Busch by himself already has six top-5 results during the current campaign. As a matter of fact, only one driver in the Chevy camp has truly been a consistent front runner this season and he is one who is among the newest to sit in a Camaro. 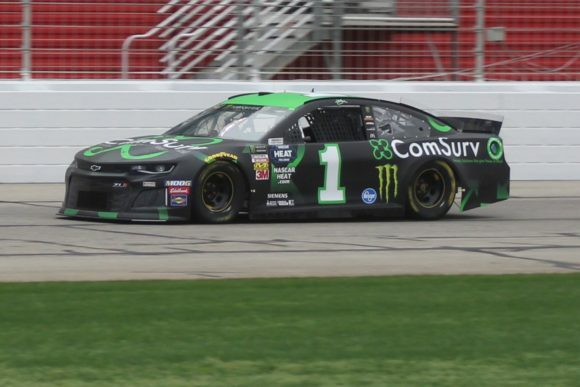 Kurt Busch, who just came to Chip Ganassi Racing during the most recent off-season after parting ways with Ford’s Stewart-Haas Racing, has placed in the top-5 three times. 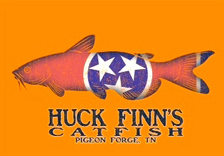 Last Sunday’s second place effort in the Food City 500 at Bristol Motor Speedway by the No. 1 machine has proven to be, along with Chase Elliott’s runner-up result at Martinsville Speedway, the high water marks so far for the American-based manufacturer. 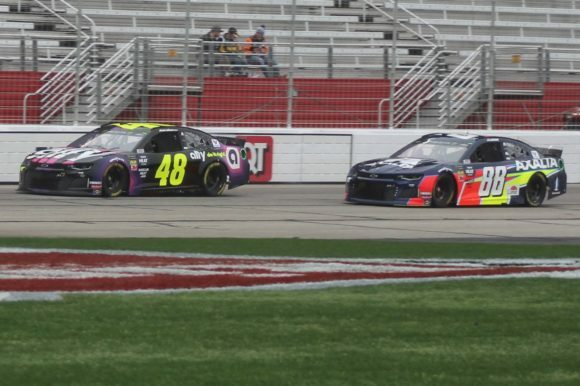 Elliott and Jimmie Johnson are the only other drivers for Chevrolet to have finished a race in the top-5 this year with each of them garnering a lone placement near the top of the scoreboard. Interestingly, Busch’s CGR teammate Kyle Larson has not scored a top-5 and has only two top-10 finishes in his eight starts so far in 2019. The elder of the Busch brothers also leads his brand mates in top-10 finishes with six. And in qualifying for Saturday night’s Toyota Owners 400 at Richmond Raceway, Busch appears poised to continue leading the Chevrolet effort as he placed himself third on the starting grid behind the Ford of former SHR teammate Kevin Harvick and the Toyota of JGR’s Erik Jones. Busch’s result in time-trials is noteworthy in that his average starting position so far has been a rather unremarkable 20th while qualifying has been just about the only place where the other Chevrolet drivers have shined this year. Those cars have taken exactly half of the poles so far in 2019. While Busch is certainly showing the way for Chevrolet right now, his real value to the brand may not be as immediate or as detectable as the results from pages of statistics might indicate. The 2004 MENCS champion brings a measure of experience otherwise largely missing within this camp. Consider that Busch and Johnson are the only two drivers currently in Chevrolets to have won championships. For that matter they are the only two drivers to have more than five Cup Series wins in their careers. Aside from those two, only Larson and Austin Dillon were racing in the Cup Series on a full-time basis in competitive situations prior to 2015. Toyota has experienced drivers such as Kyle Busch, Denny Hamlin, and Martin Truex, Jr. to rely on in terms of feedback. Ford has veterans such as Kevin Harvick, Brad Keselowski, Joey Logano, Clint Bowyer and Ryan Newman to offer input. Until Busch came at the beginning of this season, Chevrolet only had Johnson with credentials worthy of comparison to those mentioned in the preceding paragraph. When Jeff Gordon and Dale Earnhardt, Jr. retired from driving, they were replaced at Hendrick Motorsports by William Byron and Alex Bowman, two young and relatively inexperienced drivers. With such a lack of experience, crew chiefs and engineers have almost certainly not had the same type of feedback available to them as was the case just a few years ago and the results of that appear to now be evident. Ultimately, Kurt Busch’s value to Chevrolet may run much deeper that just the top-5 and top-10 finishes he is currently providing. Instead, his experience may open the door for other drivers from the manufacturer to run closer to the front of the pack.